If there’s one thing that annoys the older shoe connoisseur, it’s when people buy shoes just to leave them in a box on a shelf for years…..shoes are meant to be worn….straight out the box and on the feet. The birth of rapping, turntablism, breaking, graffiti….New York in the late 70s / early 80s was the creative melting pot that spawned the four elements of Hip Hop. There was another side though, one of poverty and violence…..the daily struggle of those living in the big apple during these time was not an easy one for many….this documentary looks like a stark reminder of the struggle that was daily life for New Yorkers in 1981, A Most Violent Year. The pick of the pack so far for me. I have resigned myself to the fact that there are many things in life I will never have the chance to own, one such item is the original 35th Anniversary Superstar Vintage Footpatrols. The series dropped when I was still living in Manchester and without the means to be able to source a pair, this fact hurts every time I see someone wearing a pair. I have thought about spending a pretty penny on an eBay purchase, but would be too scared of getting stung with a fake pair…..there are many out there and by all accounts are pretty hard to spot. 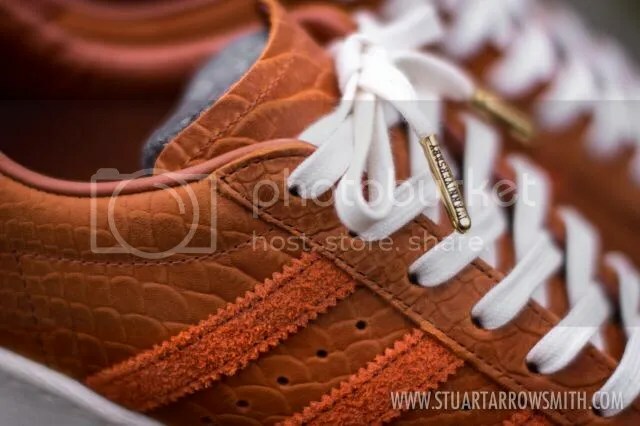 This release, however was pretty easy to pick up (and still is looking at certain sites)….The superstar 80’s is my favourite shelltoe guise and burnt orange is such a good colour, with these facts in mind, it was a pretty easy decision to take the plunge and pull the trigger (with a little help from a good friend). Did someone say ‘doubleup’?